When you click on the “Users” tab in the upper left of the Orion Command Center, between “Home” and “Groups”, you’ll see a master list of all the users in your organization, along with empty checkboxes to the left of their names. Clicking the first checkbox selects all users, or you can select them individually. 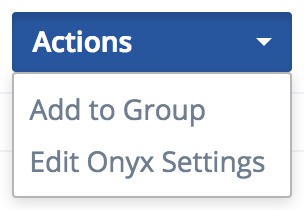 Once you’ve selected the users that you want to add to a group, click on the “Actions” button on the right side of the screen, to the left of the “Add New User” button. This will drop down to reveal an "Edit Onyx Settings" that you'll click to proceed. 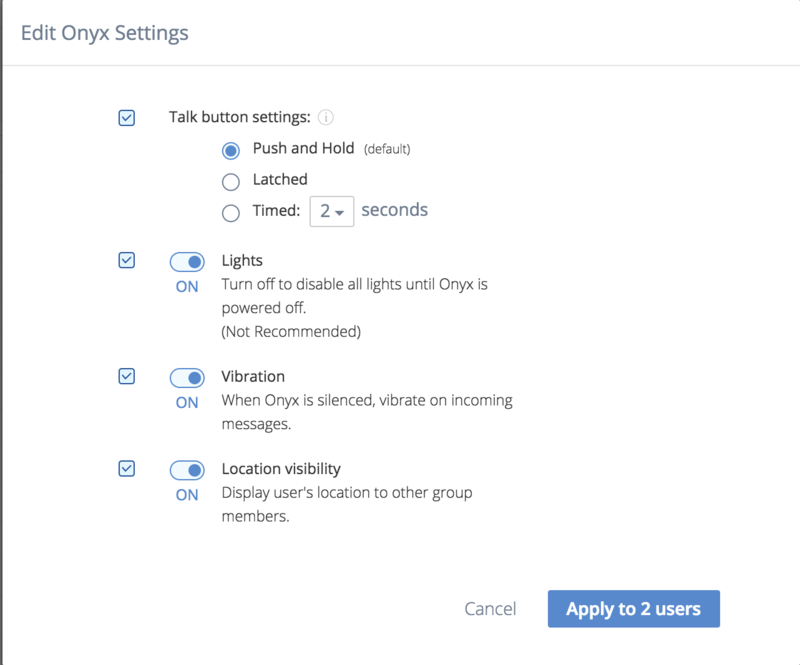 Simply toggle the Onyx settings that you want to enable/disable for all users previously selected, and click "Apply to X users".